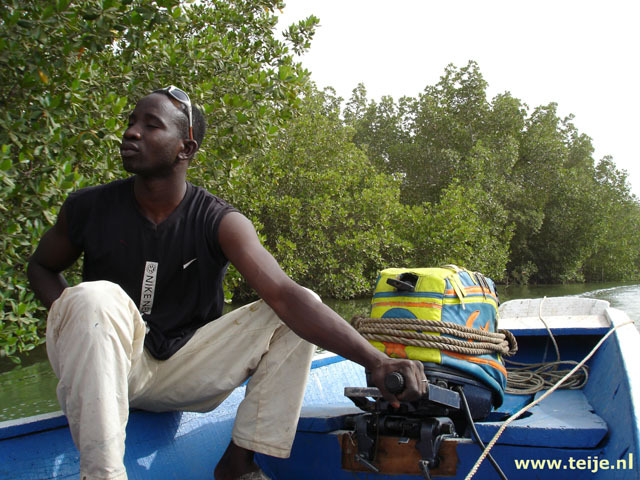 In 2005 we took a one-day expedition from Gambia to Senegal, to the part that lies south of The Gambia. It was an organized trip so relatively touristy. Dakar, the capital of Senegal, was for centuries an important starting point for the slave trade from where Africans were shipped to Europe and America. In 1960 the country became independent. Officially, it is a democratic republic, but corruption seems to be a major problem and you cannot really speak of a democracy. Here are our travelogue(s), photographs, online jigsaw puzzles of travel pictures and information about Senegal.